Dropbox feature allows saving Dropbox files and, reversely, store your backup copies to Dropbox. Create a new backup task by selecting a menu item or by pressing Ctrl+N. On a Step 2, choose data you want to save to Dropbox. On a Step 3, select the “Dropbox” feature. Use the Create a connection option. Click "Create a connection..." option and enter to the account settings dialog. Click on the "Connect to Dropbox" button. The program will redirect you to the browser and open a Dropbox login window. Enter your Dropbox account connection parameters, e.g. username/email and password. 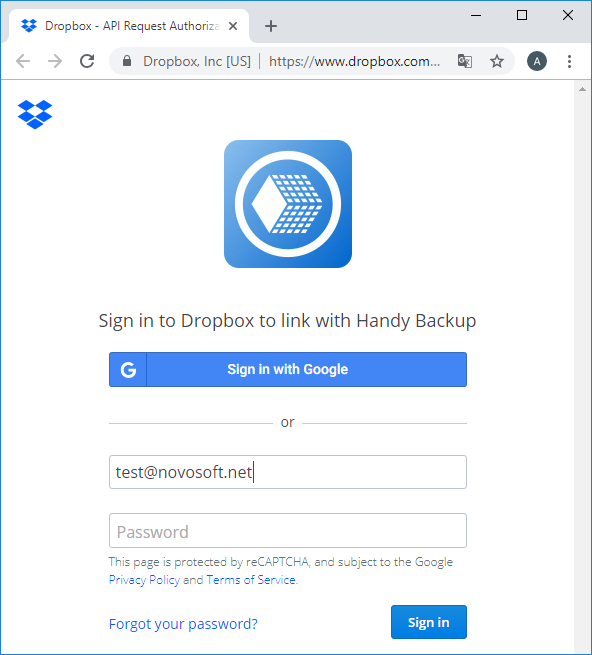 Allow Handy Backup to connect with this particular Dropbox account. Return to Handy Backup. The program will test your established Dropbox connection. 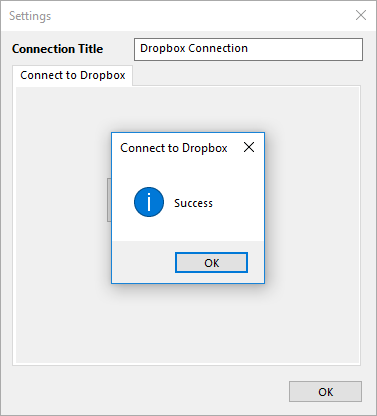 If the connection has a success, click on OK to return, then click twice on your Dropbox configuration to use it as a data storage. Click on the "OK" button to continue creating your tasks. All next steps of the task creation are unspecific for Dropbox-using tasks. 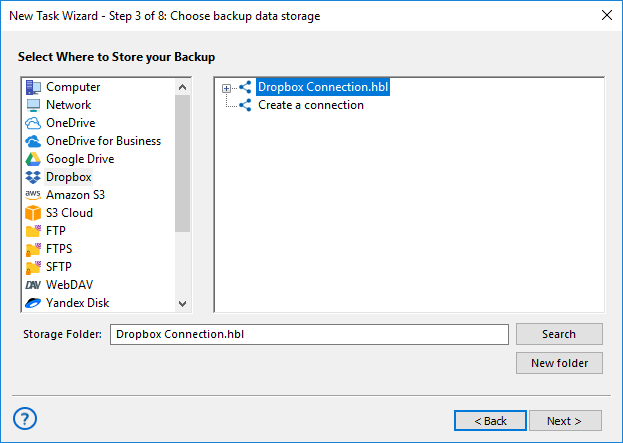 Use an existing Dropbox configuration created as described above, or create a new configuration on a Step 2 instead of a Step 3 to save Dropbox files from your account. You can backup Dropbox to an external hard drive, save files online (e.g. on a NAS) or into a folder somewhere on your computer. Users can apply the “Dropbox” feature for auto recovery from Dropbox. 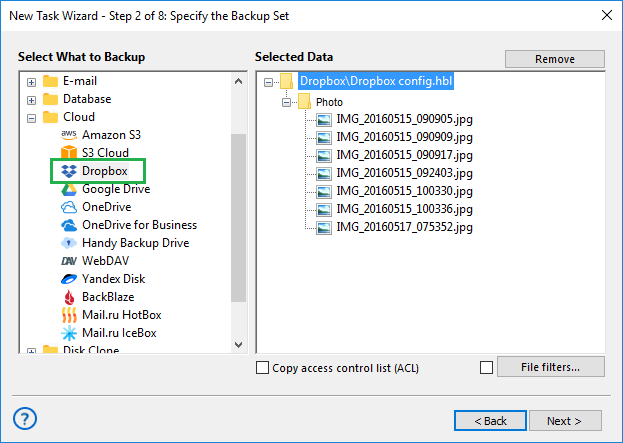 In case of restoration, the task often uses the Dropbox configuration created previously for backing up; in this case, just select a needed configuration from a list that opens in the “Dropbox” feature.